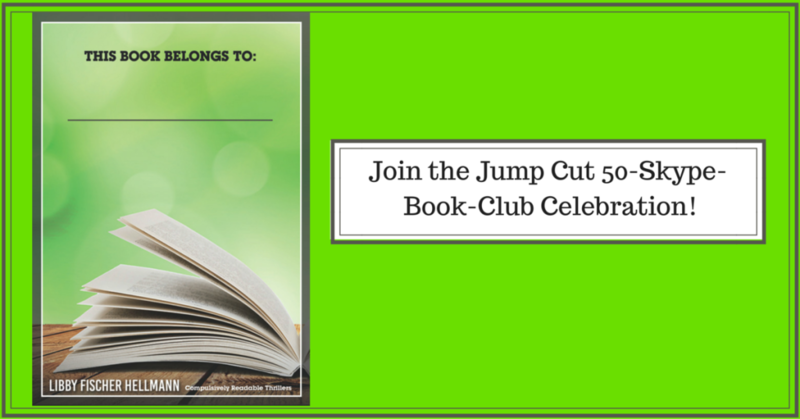 You are here >> - Libby Fischer Hellmann’s Blog - Book and Special Events - Join The Jump Cut 50-Skype-Book-Club-Celebration! 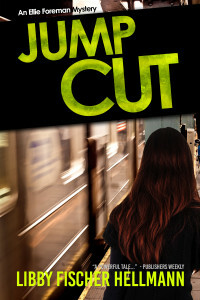 JUMP CUT, the 5th installment of my Ellie Foreman Mystery Series will be published on March 1. In order to celebrate and get it into the hands of as many readers as possible, I’m aiming to be a guest at 50 Book Clubs via Skype. Will you join me? Book groups help expand the reading experience for the number of people who attend; they help you finish a book; and they provide the chance to get together with friends, wine & cheese (as if you needed an excuse!). Just submit your name and email here and propose a date when you’d like me to be there. That will get the ball rolling. I’ll be available for up to 45 minutes on Skype to take questions and, hopefully, participate in the discussion. What’s JUMP CUT About Anyway? In JUMP CUT, Ellie finds herself entangled in a web of espionage, murder, and suspicion that threatens to destroy what she holds most dear. Hired to produce a candy-floss profile of Chicago-based aviation giant Delcroft, Ellie is dismayed when company VP Charlotte Hollander trashes the production and cancels the project. 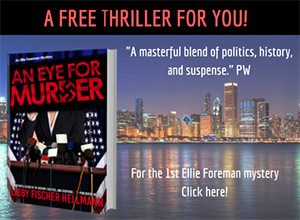 Ellie believes Hollander was spooked by shots of a specific man in the video footage. But when Ellie arranges to meet the man to find out why, he is killed by a subway train before they can talk. Ellie and her boyfriend, Luke, try to find answers, but they don’t realize how far they have ventured into the dangerous echelons of hidden power. Soon, it becomes terrifyingly clear that Ellie is in way over her head, and more lives are on the line―including her own. While my primary objective is to make you stay up way too late reading because you can’t put it down, JUMP CUT does explore some of the issues we’re all grappling with these days. For example, what’s the difference between “intelligence” and “espionage?” In an age where every major corporation and our infrastructure is vulnerable to hackers, what level of privacy and protection should we expect? How prepared are we to give up some of our civil liberties in return? Should the government have the power to eavesdrop on every phone call or email we send? Remember that for every person who thinks Edward Snowden is a hero, there is another who considers him a traitor. Who is right? Where’s the balance? Where should it be? For all those reasons, I believe JUMP CUT will provide lively conversations for your book group, and I’d love to be a part of them. To that end, I will provide a Discussion Guide for any book club that signs up. 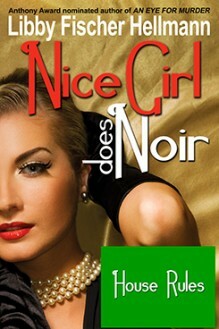 Btw, the inspiration for the Book Club Challenge comes from Nomi Eve who surpassed her goal of 100 book clubs. Cheers to Nomi! I look forward to hearing from you and your book club!